I love stumbling across photos of random small businesses. 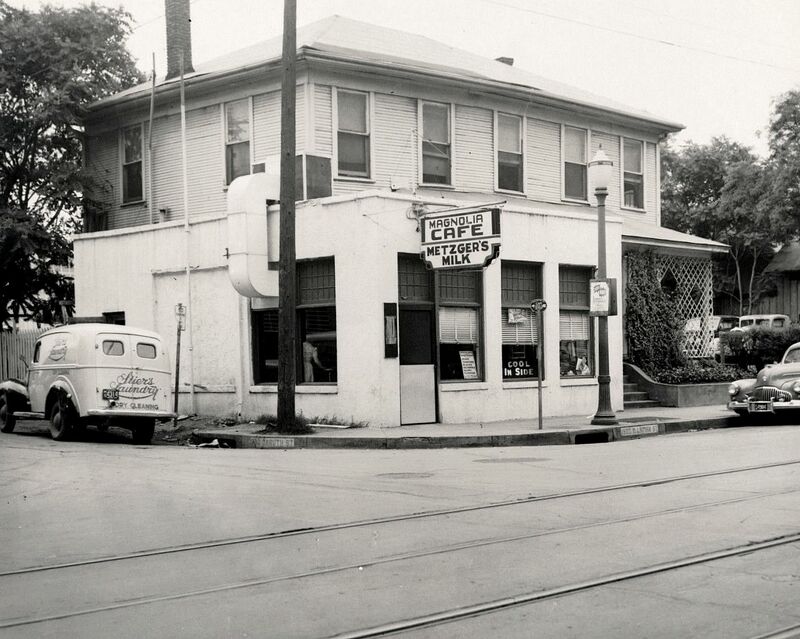 This photo from 1947 shows an interesting modification of a rooming house in the area immediately north of downtown at 1914 N. Lamar, at the corner of what is now N. Lamar and Munger (the curb shows “Caruth St.,” the street’s original name). Unsurprisingly, this former residential area — which became an industrial warehouse district — looks pretty different today (see the current Google Street View here). A succession of cafes operated here over the years (while people lived in rented rooms upstairs) since at least 1927. I love the entrance to the rooming house with the concrete steps to the right of the cafe, the street light, the streetcar tracks, The Metzger’s Milk sign, the Stier’s Laundry truck, the parked cars, and the street names (probably in tile?) on the curbs. Its future? A parking lot. 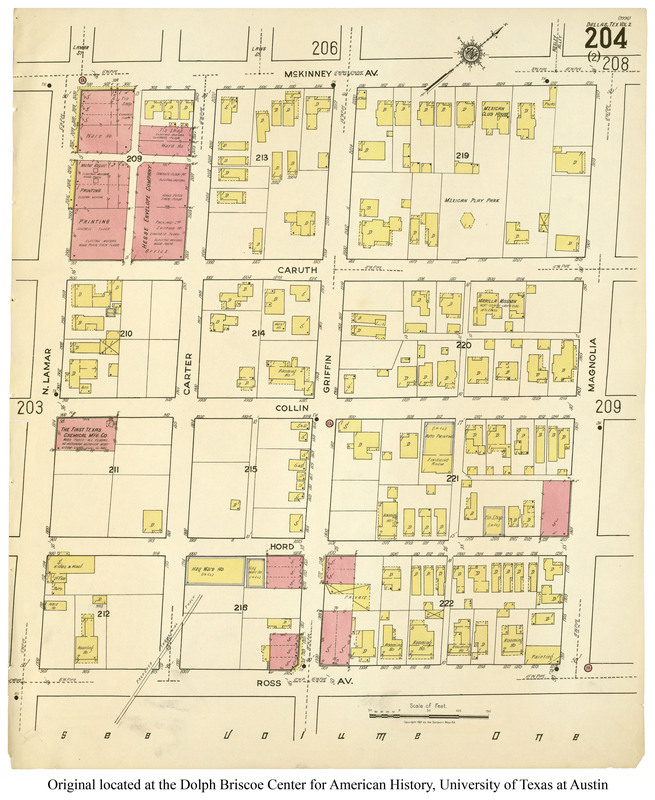 See the building on the 1921 Sanborn map here, which shows 1914 N. Lamar at the corner of Caruth Street. 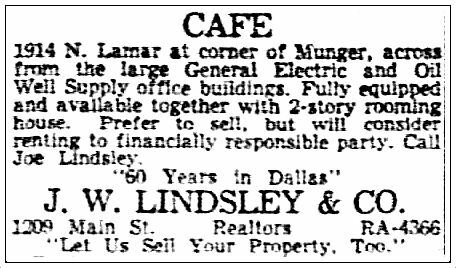 It appears the house might have become renovated to include a cafe on the ground floor in 1926 or 1927 when one of Mrs. Stuart’s boarding-house roomers opened up Frank’s Lunch Room. This is the real life equivalent of Henry’s lunchroom in Hemingway’s story “The Killers”. When your high school English teacher talked about verisimilitude this is what she had in mind.